Trees add beauty and foliage to gardens and sidewalks. Tree stumps do just the opposite. Their roots cause uneven sidewalks and cause the concrete to rise and people to trip. The roots increase in diameter over time. Paved surfaces, such as roads, driveways, and pavements can become hazardous over time. 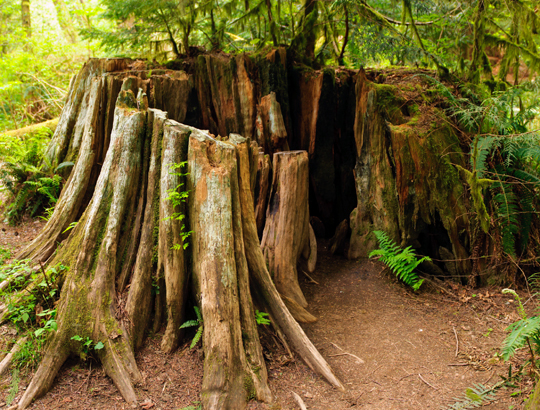 When removing tree stumps, you have to make sure that even the roots are removed because even they are a safety hazard and, actually, are more hazardous than the stump itself. Removing tree stumps is not as easy as chopping wood. This is the easiest way to remove tree stumps. It is available at most garden and home centers and it speeds up the rotting process of the wood. It is made of potassium nitrate, which quickly contributes to the acceleration of the rotting process of the wood. This is also a safe way to kill a tree. 1. All you have to do here is to drill 12-inch holes in the tree stump, pour the granules into the holes, and fill the holes with water. It is best to keep children and pets away as you do this. 2. Then you can use an axe and break the wood. Of course, if you want labor-free removal, you can pour kerosene or fuel oil on the tree stump after you put the stump remover and set it on fire. It will burn for weeks, so make sure nothing flammable is nearby. Take very, very careful precautions when you do this, however, because it is very dangerous. It is best to be very vigilant about this as well. Contact TalkLocal today and let us help you find a professional near your area for tree stump removal. We will connect you with up to three professionals in just minutes, for free. How Long Should Fire Logs Dry? Fire logs are utilized by numerous homeowners as highly effective wood fuel, which is longer-lasting, affordable, and easier to burn. People hoping to embrace a greener lifestyle now have the chance to purchase and utilize eco-friendlier fire logs made from renewable materials (sawdust, green animal- or plant-based waxes) producing a negligible amount of sulfur emissions and generating reduced CO emissions that are eventually absorbed by plants. In this context, many people are probably asking themselves the following question: How long should fire logs dry, and how could I possibly find the best wood fuels? First of all, make sure that you find and purchase high-efficiency fire logs that are 90% combustible, natural, coming from renewable sources, and producing a minimized amount of emissions. 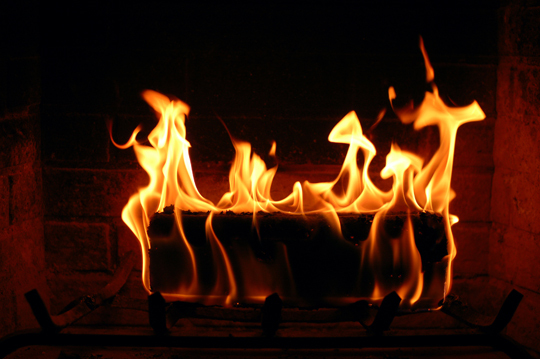 Instead of opting for semi-dry wood, ask for dry fire logs, which don’t waste energy during their burning process. Tree removal experts advise us to pay attention to 2 important factors impacting the calorific value (CV) of all types of fire logs: wood density and moisture content. It is recommended to opt for denser wood (hardwood) to experience financial savings, as hardwood offers you more kilowatt-hours per cubic meter than softwood. Moreover, make sure your fire logs are 100% dried. You should know that seasoned logs (dried ones) have twice the calorific value (CV) of green fire logs. Want to reduce the moisture content of your fire logs? In this case, all you need to do is chop the logs into smaller pieces and let them dry naturally during spring and summer (for at least 6 months before burning it in your stove). In theory, a longer drying time would be required (up to 2 years), but only a few homeowners follow this suggestion, as the rest of them consider it impractical. Trees should be cut in November or December, when they are still dormant, so that fire logs could display reduced moisture content. Also, make sure you store your fire logs properly, in a dry, properly ventilated place. If you plan to buy fire logs, make sure they were seasoned at least one year ago to profit from an increased calorific value. Still wondering how long should fire logs dry? Up to 24 months if you’re really patient, but you can definitely make the most of well-seasoned wood after only 6 or 7 months of storage, if you chop the logs into tiny, manageable pieces. Do you have dead wood sitting in your yard that needs getting rid of, or would you like to turn a troublesome tree into useful fire logs? Then use TalkLocal to be connected with up to three professionals in your area who can help you. Because it is the middle of the hurricane season, ideally you’ve already made the necessary preparations to protect your home against a storm. Part of ensuring a hurricane-proof home is taking the time to survey your yard and removing risks that could damage your home when powerful hurricane winds strike. Trim all trees and rotting or weak branches that are in contact with any part of your house. During a storm, forceful winds can make branches whip against windows and cause trees to snap and fall on the roof. You should also reduce tree or plant foliage to allow wind to blow unobstructed through the branches. This will lessen the chances of trees or plants becoming uprooted. It is best if you can schedule regular pruning so that you can alter the shape of your trees to make them more wind-resistant. Cut back trees that are close to power lines to prevent power outages that often happen during a storm due to tree limbs falling on wires. Allowing your tree to grow into a power line may get you penalized. However, never attempt to do this task on your own. Contact your electricity provider to have your tree trimmed. Usually, power companies provide tree-trimming services around their power lines. Make sure to remove any items in your yard that could become dangerous if caught up by strong winds during a storm, such as broken pieces of furniture, fallen branches, and old lumber. Also consider using softer gardening materials around your yard, like mulch instead of pea gravel or rock, which can also become dangerous projectiles during a storm. Move loose items indoors, such as umbrellas, barbecue grills, toys, potted plants, or tools. Keep scooters and bikes inside your garage. You can store your trashcans indoors or tie them together to a sturdy pole. If you have any loose house ornaments displayed outside, such as chimes, flags, and wreathes, bring them indoors. Getting your yard ready for the harshest weather is an important part of having a hurricane-proof home. 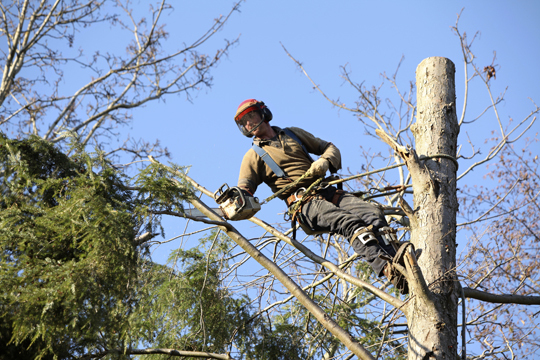 Hiring professional tree-removal or tree-trimming service ensures that the job is done safely and properly. TalkLocal can connect you with three qualified contractors in minutes. Send us your request and we will search your area for the right professional to do the job. Our service is simple, fast, and free of charge. Trees, like all plants, occasionally become infected with pathogens which cause them to become ill. Many of these pathogens can cause severe damage to once-healthy trees, sometimes killing or permanently disfiguring them in the process. However, you don’t have to stand by and watch your trees wither away. Here’s how to prevent tree diseases. If your tools have come into contact with soil, are coated with rust, or have been used on other plants previously, make sure to properly clean and disinfect them before using them again. Soil and residual plant sap may harbor parasites, bacteria, and viruses that can make your trees sick. Remove all debris with soap and water and soak tool blades in either isopropyl alcohol or a bleach solution. Make sure to repeat the sterilization process before working on another tree with the same tools. If you’ve ever used dull pruners or shears, you’ve probably seen how the blades tend to crush the wood instead of cut it. When this happens, it’s much harder for the tree to heal, and healthy new growth is disrupted. On the other hand, using sharp tools gives a nice, clean cut that heals quickly and is less likely to be attacked by pests and pathogens. Some tree types, especially fast-growing varieties and fruit-bearers, require huge amounts of nutrients in order to stay healthy. 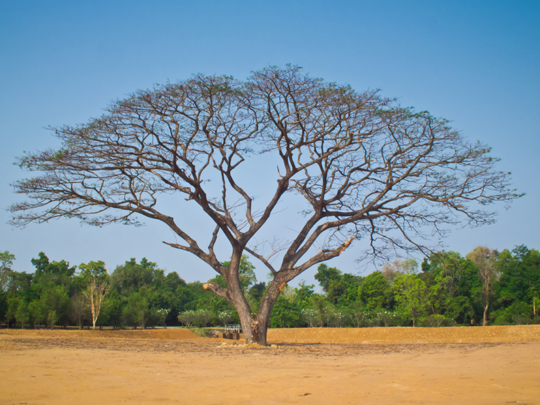 Like people and animals, malnourished trees are more vulnerable to not only pests, but also diseases. Therefore, it’s important to provide heavy feeders with regular fertilization. Purchase a plant food that is designed for your particular type of tree. When removing large branches from trees, keep in mind that doing so creates a wound. Its delicate inner tissues are left exposed to hoards of insects, viruses, and bacteria just waiting to attack. Closing up these wounds speeds healing for the tree and makes it less likely for diseases to occur. It’s recommended that you use either spray paint or a specialized tree sealer to do this. Need To Remove A Diseased Tree? Lush, green, and disease-free trees are lovely things to behold, but keeping them that way takes some work. Use TalkLocal to locate a professional tree service near you that will be able to advise you on how to properly prevent diseases, or remove a diseased tree. Talk Local will connect you with the right professionals, in just minutes. Home ownership can be a wonderful investment and can provide a sense of security to any family. Unfortunately, there can be a downside to home ownership such as maintenance and property disputes. If you find yourself constantly cleaning up foliage that isn’t yours and saying “Hey! That neighbor’s tree is on my property!” you may be dealing with one of those downsides. Here are a few guidelines for how to proceed if you find a tree is causing you problems. If the entire trunk of the offending tree is on your neighbor’s property, you have a limited amount of action you can take. You have the right to trim any limbs that overhang your property, but not to the extent of damaging the tree. Tree damage typically constitutes large fines. The best plan of action is to talk to your neighbor. Explain the situation, and see if he or she is willing to trim the branches, remove the tree, or simply clean up the foliage that ends up in your yard. If they refuse, your only option is to trim the limbs on your side of the property line. When trees age, they get larger around the trunk. This could cause a tree that was once totally on one side of a property line to encroach onto another property. 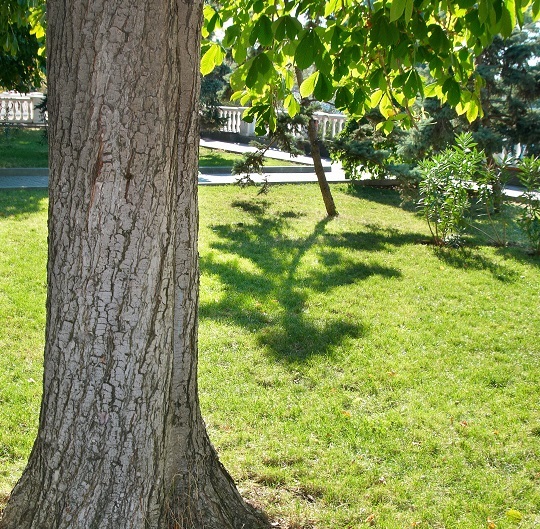 Typically, the law sees this tree as owned by both properties. The best plan of action is to try to work out an agreement with your neighbor. He or she may not be partial to the tree and you may be able to have it totally removed. If he or she wants to keep the tree, some areas may allow for partial removal, including the trunk. To know for sure, ask an expert. Tree removal specialists in your area will be familiar with the laws and can answer your questions when you say “My neighbor’s tree is on my property, what can I do?”. TalkLocal can find a specialist in your area at no cost to you. Whether you need wood for a fireplace in your home, or your are tasked with moving a large, fallen tree, you may find yourself in need of chopping it. Large pieces of wood are sometimes hard to split and chop, and therefore, require the use of a wedge. If you don’t know how to use a wedge to chop wood, you should definitely learn before you attempt to do so. The wedge is pounded into the wood and used to break it apart. Although this may seem like a simple concept, there is actually a process involved and safety precautions that should be considered. 1. Wear safety gear such as gloves and goggles. As the wood is splitting, small pieces of it can splinter off and fly through the air. If they hit your hand or eyes, they could cause severe injuries. The proper safety gear will protect you from such a scenario. 2. Cut large logs into short and round pieces that are no longer than three feet. This will give you pieces which are the perfect size to work with, making the wedge more effective and make the task easier for you. 3. Flip one of your rounds on its side on a level piece of ground. Find a crack towards the center of the round, and place the wedge in it. When you are learning how to use a wedge to chop wood, you should remember that the center of the wood is the hardest part to split. Although you want the wedge near the center, it should be moved a couple of inches to one side or the other. 4. Bring your sledgehammer up over your shoulder and down onto the wedge. Repeat to pound the wedge into the wood. The further down that the wedge goes, the more the wood will be split. Eventually, it will break apart. 5. Split the wood as much as needed. Small rounds can be split in half, but larger ones may need to be split into quarters. Knowing how to use a wedge to chop wood is valuable knowledge and will make the job of splitting wood much easier. You can find wedges at most home and garden stores and many hardware stores. 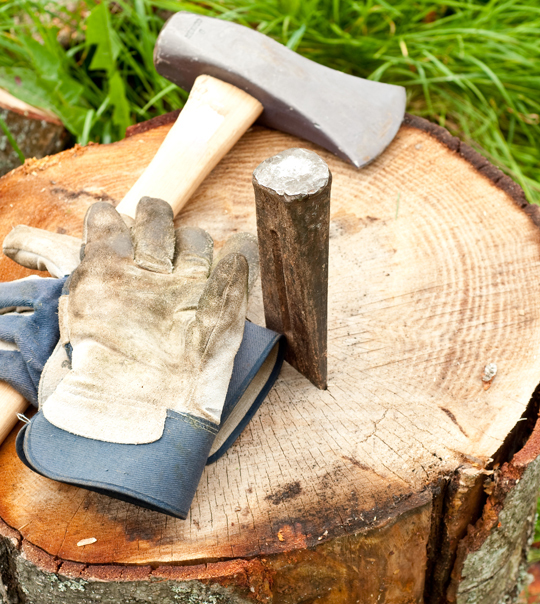 If you need help finding a wedge, or would like to call on a professional to chop wood, use TalkLocal. No matter what type of professional you are looking for, they are only a few clicks away at our website. You may chop wood for a variety of reasons. Maybe you use it to heat your home or your need to find a use for a fallen tree. Regardless of why you chop wood, you need to make sure you utilize proper wood chopping safety methods. These safety tips will help protect you and ensure your safety while chopping all types of wood. Wear proper protection: Always make sure you are wearing safety boots, gloves, and glasses at all times. The boots will protect your feet if you would accidentally strike them with the axe, and the gloves will protect your hands from splinters and cuts. The safety goggles will protect your eyes from any debris or splinters that may fly through the air while the wood is being chopped. Store your axe properly: Keep your axe in the sheath any time you are not using it. You should not carry the axe without the sheath or set it down on the ground when you are not using it. The sheath is meant to act as a barrier between you and the axe and will protect you from cutting yourself or someone else accidentally. Take the proper stance: Make sure your feet are planted before you swing the axe. If you lose your balance you could accidentally fall backwards or forwards on the axe and cut yourself severely. If you want to follow all of the necessary wood shopping safety rules, you have to be aware of your surroundings. Never swing an axe when other people are nearby and always make sure the area is clear before you swing. Set the wood on an appropriate surface: Only chop wood on stable surfaces. You do not want your logs or wood rolling and moving around while you are trying to chop them. If the wood moves, you could miss and accidentally cut your foot. Be Careful Or Get Some Help! 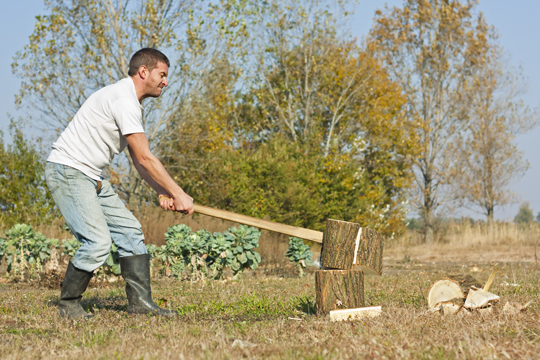 These wood chopping safety tips will protect you and those around you from injuries. Before you start chopping wood, make sure you take every precaution. A tree removal service or a handyman may be able to chop the wood for you You can find someone in your area to help by using TalkLocal. No matter how hard it might seem to find a specific professional, we make the process seamless and easy. 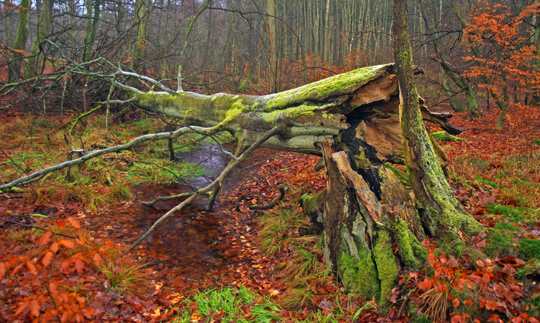 Factors such as frost and decay can cause you to have a newly fallen tree to clean up. You may be wondering, therefore, where to dispose of fallen trees. There are a variety of options to choose from, and you really just need to pick the one that works best in your area. First, however, here are some things to consider. Shockingly, some municipalities require permits for tree removal, even if the tree was not intentionally cut. In some locations, you might be instructed to set the tree by the road during a certain time of the year. Others might require you to cut up the tree and dispose of it with other natural waste. The local laws in your area will dictate how and where to dispose of fallen trees. Make sure there are no downed power lines or nearby rushing water. When trees fall over, they can sometimes become entangled with dangerous power lines. If you think there may be a downed power line, stay indoors and call the power company immediately. Regardless of your disposal method of choice, you will have to prepare the tree to some extent. Begin by cutting off the top branches in manageable pieces and work your way to the trunk until the tree is cut into small enough pieces that a person may carry them. Burn it: Depending on your city codes or needs, you could keep the wood for firewood. Sell it: If you don’t have need for firewood, someone else might. Some people use wood-burning stoves to heat their homes in the winter and are always looking for good wood to store. Rent a dumpster: If your tree is too large to pick up, you may need to rent a small dumpster to have the tree hauled away in. Hire a professional: Professional tree removal companies are equipped to prepare and haul away your tree. They may also be able to grind the tree up into mulch on site. You could use this mulch for landscaping or allow the workers to haul away the material. If tree removal sounds like too large of a task for you to handle, call a professional. TalkLocal can find an expert in your area who will know exactly where to dispose of fallen trees. Our service is free and incredibly easy. It isn’t always easy to tell whether a tree is dead, sick, or healthy. If the tree is dead, you need to cut it down, but if is just sick, there may be hope. Looking for the symptoms of a sick tree can be tricky. These five areas of the tree are your road signs. Check the leaves: If it isn’t autumn and your leaves are dropping in high volume, or if they are dropping too quickly or in larger amounts than usual, the tree is likely sick. If the leaves are not dropping off, but they are discolored or shriveling up, that is also a symptom of a sick tree. Examine the branches: If your branches are falling off, that is one of the primary symptoms of a sick tree. Of course, strong winds and storms can knock them off, but sick trees usually drop branches more than usual. They are usually bare of leaves when they drop as well. If you inspect the branches closely, you might even be able to see signs of tree rot or insect damage, which would explain the sickness in your tree. 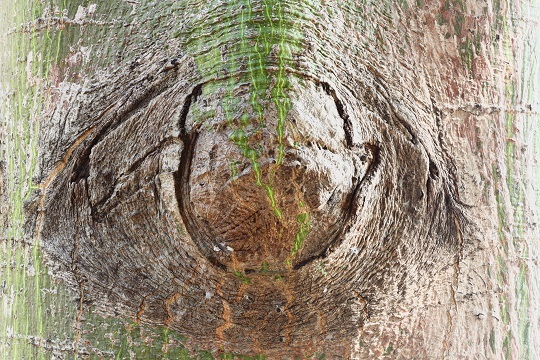 Look at the trunk: You do not want any holes or dents in your tree trunk. Although they might make cozy homes for forest friends, they are a sure sign of a dying tree. Check the bark: A healthy tree has healthy bark. Healthy bark is usually flexible and soft. A sick tree’s unhealthy bark may be brittle, scratchy, or even falling off. Bald spots are a symptom of a sick tree. Don’t forget the roots: A lot of things could hurt the roots, from water to the lawn mower to your kids’ toys. If the roots are damaged, the whole tree is in danger. Check to make sure they are not flooded or scratched in any way. If all five of these symptoms of a sick tree check out, your tree might not be sick after all. It never hurts to get a professional opinion when dealing with a tree that could potentially be dangerous if it does die and fall over. TalkLocal can connect you to local professionals in your area to help you take care of your sick or dying trees.